"I don’t have the time to do the thoughtful, considerate things that a husband should do." Rapper T.I. has silenced reconciliation rumours with his estranged wife Tameka 'Tiny' Cottle after declaring marriage a distraction. The Live Your Life hitmaker and his spouse of six years separated in December when she filed for divorce. The former couple has spent ample time together since the break-up, prompting rumours the divorce was on hold, but the hip-hop star has denied they're looking to get back together. 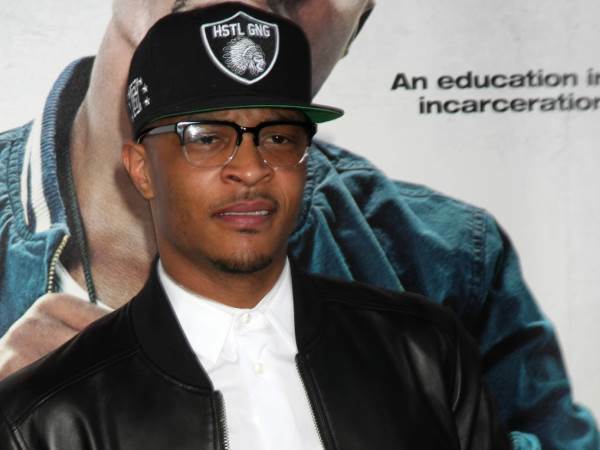 T.I., real name Clifford Harris, admitted his focus on work made him forget about the romance at home, and in light of his split, he's not sure he'll ever wed again. "Ultimately man, I’m on a mission," the hip-hop heavyweight declared. "I’m striving to take my family, its name and our legacy as far and high as it can possibly go. And in my life, there will be two different things. There will be people, places and things that help me get there. And there will be people, places and things that distract and deter me from getting there. "It seems to me that marriage and what marriage means and what marriage does - it's just one of those things that are going to distract and deter me. I just have a purpose and I don’t always have the time to do the thoughtful, considerate things that a husband should do." T.I. and Tiny, who first began dating in 2001, share three biological children together and he is also stepfather to his estranged wife's eldest daughter Zonnique Pullins from a prior romance. The rapper is also dad to three other kids from previous relationships.